The Boys in the Boat meets A League of Their Own in this true story of a Depression-era championship women’s team. In the early 1930s, during the worst drought and financial depression in American history, Sam Babb began to dream. Like so many others, this charismatic Midwestern basketball coach wanted a reason to have hope. Traveling from farm to farm near the tiny Oklahoma college where he coached, Babb recruited talented, hardworking young women and offered them a chance at a better life: a free college education in exchange for playing on his basketball team, the Cardinals. Despite their fears of leaving home and the sacrifices that their families would face, the women joined the team. And as Babb coached the Cardinals, something extraordinary happened. These remarkable athletes found a passion for the game and a heartfelt loyalty to one another and their coach–and they began to win. Combining exhilarating sports writing and exceptional storytelling, Dust Bowl Girls takes readers on the Cardinals’ intense, improbable journey all the way to an epic showdown with the prevailing national champions, helmed by the legendary Babe Didrikson. Lydia Reeder captures a moment in history when female athletes faced intense scrutiny from influential figures in politics, education, and medicine who denounced women’s sports as unhealthy and unladylike. At a time when a struggling nation was hungry for inspiration, this unlikely group of trailblazers achieved much more than a championship season. For Lydia Reeder, this is a family story: Coach Sam Babb is her great-uncle. A former associate editor at Whole Life Times in Los Angeles and Delicious Magazine in Boulder, Colorado, she lives in Denver with her husband. 1. 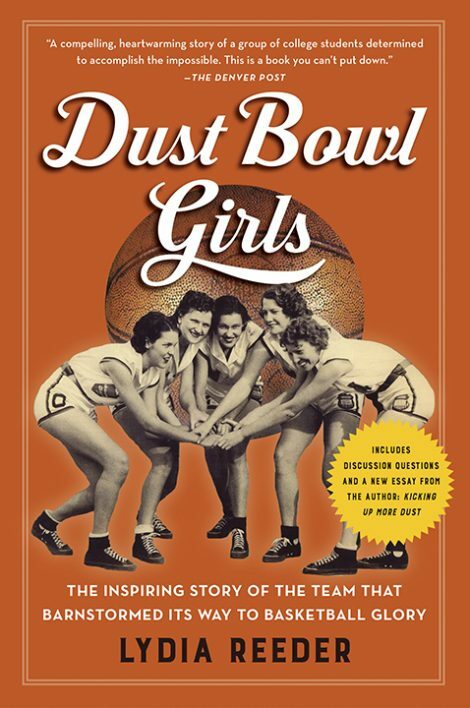 Before reading Dust Bowl Girls, did you know that women played highly competitive basketball in the 1930s? What aspects of the game surprised you the most compared to women’s basketball today? 2. Sam Babb had a disability that he had lived with since he was a teenager. How do you think that affected his personality? Do you think it contributed to his becoming a psychology professor or even a basketball coach? Why or why not? 3. After Title IX passed in 1972, women gained equal rights to educational programs, including athletics. How do you think sports, including basketball, have changed for women since 1972? If Title IX had been in existence in 1931, how would the Cardinals’ circumstances have changed? 4. “Covering the court like a red plague, the Oklahoma Presbyterian Cardinals completely annihilated Houston’s home team,” Toka Lee Fields read to her beaming teammates (page 129) from an article that appeared in the Houston Post-Dispatch sports section. Sportswriters seemed to fall in love with the young team. Were you surprised by the level of coverage women’s basketball received? How did the sportswriters depict the women athletes on teams, particularly when it came to femininity? Did Babe Didrikson receive the same type of publicity as the Cardinal players? How was she different? 5. Didrikson’s team, the national-champion Dallas Golden Cyclones, was sponsored by Employers Casualty, a successful insurance company. The underdog Cardinals beat the Golden Cyclones twice during regular season play, with Doll Harris scoring a phenomenal twenty-seven points in one game. Why were the Cardinals able to beat the Golden Cyclones? How did the “gift of teamwork” (page 171) help Doll and the Cardinals win? Or what do you think gave them the edge? 6. Doll Harris is described as having “Bull-dog tenacity” by her high school coach (page 55). What characteristics made her a good leader and which aspects of her personality do you think caused problems for the Cardinals? 7. Coach Babb had a strict set of rules that the team had to follow during the season. Were Babb’s rules—including a policy against sweets and a 10 p.m. curfew—over the top? How do you think they compare to today’s standards for college athletes? 8. All of the Cardinal players kept scrapbooks full of clipped newspaper articles and keepsakes like ticket stubs, tournament brochures, and personal letters. What role do primary and secondary sources play in telling this story? 9. At the end of Dust Bowl Girls, Sam Babb is being interviewed by the sports editor of the Houston Post-Dispatch, who describes the Cardinals as “pretty and attractive,” adding that “their speed and grace is amazing” (page 255). In turn, Babb describes his players as “just a bunch of country girls who like to play basketball.” Why would Babb downplay the Cardinals’ exceptional athletic abilities and emphasize their ordinariness? Was it strategic? Do you think that’s how he really felt? Doll Harris crouched in ready position, took a deep breath, and focused on the basketball now in enemy territory. More than anything, she wanted the ball back. Doll’s high school team, the Cement Lady Bulldogs, was battling its archrival, the Fletcher Lady Wildcats, for the Southwest Oklahoma district championship and the right to play in the regional tournament. Doll was a senior and the Bulldogs’ star forward. The game, in its final seconds, was tied, 28–28. The hometown crowd of 350 leaped to their feet when the Bulldog guards fought hard for the ball, the rubber soles of their Converse high-tops rendering sharp chirps with every move. The referee, expecting the tangle of players to commit a foul at any minute, held his whistle ready. “Get the ball to Doll, you all,” the pep squad chanted. “Ball to Doll!” the crowd joined in. helped her to guide shots magically over the rim and into the basket. Doll made almost half of the field goals she attempted and nearly all of the free throws. With twelve seconds left in the game, Doll and her teammates did the drill that would set up the final shot. The Cement forwards passed the ball to each other, keeping it in play to run down the clock. The frustrated Wildcat guards couldn’t get their hands back on the ball. Finally, with three seconds left, Doll jumped to catch a wild pass from her teammate. With one second left, she made the shot. As if answering a magnetic call from the basket, the ball whooshed cleanly through the net. Cement had won, 30–28. Cheers shook the gymnasium’s rafter bolts. Farmers, ranchers, oil-rig workers, and their families who attended all the games leaped skyward. Schoolkids hugged each other, and the heroic Lady Bulldogs, still feeling the effects of the adrenaline rush, danced in circles while holding hands. A unifying spirit took hold, driving away thoughts about the plummeting crop prices, rising foreclosures, and growing food scarcity. These worries evaporated in the warmth spread by the delight in winning. After more than fifteen minutes, the jubilant shouts dwindled to buzzing murmurs, and the boys began warming up on court for the next game. The crowd settled in to root for their team one more time. Doll was on her way back to the locker room when she heard someone call her name. She glanced back to see her coach, Mr. Daily, motioning her over to where he was standing with a broad-shouldered man wearing a black suit and a silk tie. He stuck out like a sore thumb in the midst of all the people milling about in work overalls and cotton dresses. As she walked back toward them, the stranger fixed his collar and smoothed a hand down the front of his jacket. Mr. Daily introduced the well-dressed man as Sam Babb, coach of the Cardinals at the Oklahoma. Presbyterian College for Girls in Durant, 150 miles east of Cement. Doll lifted her eyebrows and stared at Mr. Babb. His thick black hair was cut in a flattop above a high forehead and bushy eyebrows. He had a broad, stern face; a straight nose; and a prominent chin that turned double when he stared down at her. She never would have guessed he was a basketball coach. He looked more like a banker from the city. And she knew all she needed to know about bankers—her father, a sharecropper, hated them because they were always raising interest rates. As Babb took a couple of steps toward her, she noticed that he had a pronounced limp. Babb greeted Doll in a smooth baritone voice. When he reached out to shake her hand, his solemn face lit up with a smile. He said he’d like to tell her about the basketball program at OPC, that he was looking for a talented forward to add to the Cardinals’ offense. Doll’s jaw dropped, and she looked at Babb in disbelief. Being offered the chance to attend college and play basketball was a dream come true. For the past couple of years, Doll could never stop thinking about being recruited by a women’s industrial team like the Dr Pepper girls in Oklahoma City or, even better, the Dallas Sunoco Oilers, last year’s national champions. These big companies hired the best coaches and players to work in the factory and play basketball at night and on weekends. Winning sports teams generated lots of good publicity. Thousands of screaming fans flocked to their games, and ever since she was a kid playing on a homemade dirt court with a peach-basket goal, Doll had dreamed of glory. Her heart pounded so hard, she thought it might just launch itself right out of her chest. Maybe this wasn’t playing for an industrial basketball team, but in a way, it was even better because she’d be able to go to college, too. She folded her arms, leaned back on her right leg, and began to tap her left toe out of sheer excitement. “Doll, listen to Mr. Babb,” said Mr. Daily, putting a hand on her shoulder to calm her fidgeting. “Yes, sir.” She inhaled a deep breath. For several minutes, Babb continued telling her about OPC, a women’s college, but housed on a campus where poor Indian kids also went to elementary and high school, paid for by the Presbyterian Church, of course. “OPC is nationally accredited, one of the best in the region, known for its quality of higher education,” he said. Then he told her he wanted to meet with her parents, the next day if possible. “Meet my folks?” Doll’s voice cracked when she spoke. “Is something wrong?” Babb said. Yes, there was something wrong. While Doll was listening to Mr. Babb, thoughts of home began to percolate at the back of her mind. She saw the pail she used to milk the cow every morning, sitting in its corner in the barn, made of galvanized metal so heavy she couldn’t lift it and had to drag it along the ground when she was a little kid. Her sister Verdie’s long auburn hair braided with wild honeysuckle. The desperate look on her father’s lean, tanned face when he told his family last October that because of drought, the wheat crop had shriveled to dust. Her shock when she found out that her parents quit eating the eggs from their chickens, selling them instead so that Doll could have new basketball shoes. She and her sister sometimes went without eating meat and eggs, too. 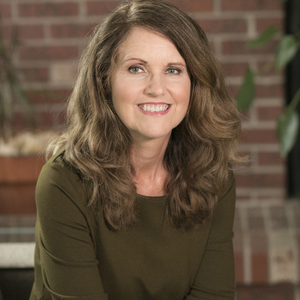 Sinking into these thoughts, she stopped breathing—she knew she could never leave Caddo County. The Great Depression was under way, and poverty lived like a king in western Oklahoma. Months of dry weather had lifted the crops right out of the ground as if the hand of God (or the devil) had pulled up row upon row of every corn, wheat, or cotton plant, exposing the roots and killing them. Fields and pastures had turned dead brown and seemed to rise on the wind like spirits yearning toward heaven, filling the air, sometimes, with sand storms and suffocating grime. Money for food and clothing was scarce. Many families ate what they could grow and supplemented that with what little they could hunt for. Where drought was worst, they gathered weeds—dandelions, sheep sorrel, and lamb’s quarters—and ate them steamed with canned beans and lard. Squirrel hunting became an art. The hunter would scope out a squirrel’s nest high in a cottonwood. Then he, or she, would lie on the ground and face the sky with a .22 rifle pointing at the nest in its sights. Sometimes they’d wait an hour or more for the squirrel to show its eyes. Squirrel gravy on eggs was considered a delicacy. But not all was tragic in these wide-open spaces. Country girls like Doll grew up surrounded by endless acres of crops; pasture; and wild, open plains. They ran footraces with coyotes and horses, crawled effortlessly across the wooden beams holding up barn roofs, and created secret tunnels with hay bales. They played alone and with brothers, sisters, cousins, and friends. At night, the stars glistened a brilliant, bleached white in an immense black sky. The only noises were crickets and wind. Doll couldn’t leave her life on the farm. Everyone depended on her. She’d marry a farmer or an oil-rig worker like her sister did and have children of her own. But she also couldn’t disappoint Mr. Daily, who had arranged for Mr. Babb to watch her play. So she said, “No, nothing’s wrong. Come by tomorrow morning, early.” And then she gave Mr. Babb directions to her home. Dust Bowl Girls “Teaser” Trailer from Viewpoint Video on Vimeo.